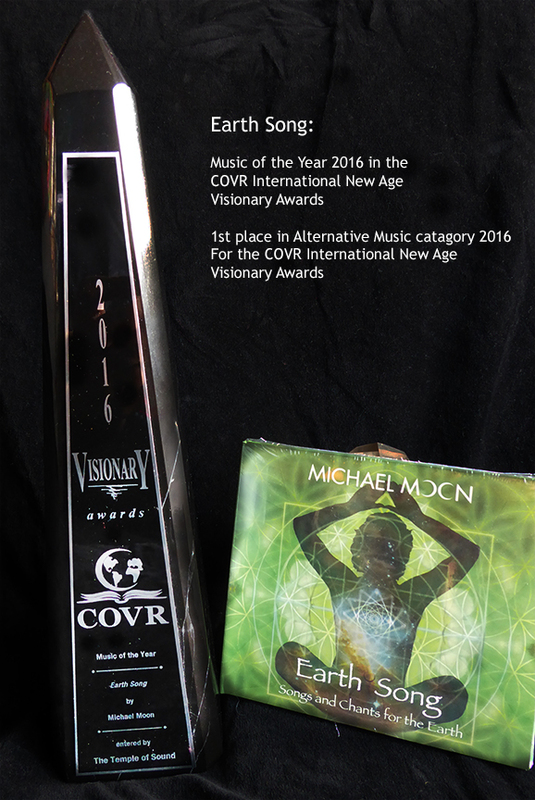 Michael Moon:Lead & harmony vocals, guitars, santoor, vibraphone, marimba, orchestra bells, drums, gongs, cymbals, rattles, tibetan bowls, quartz crystals, & nature recordings. 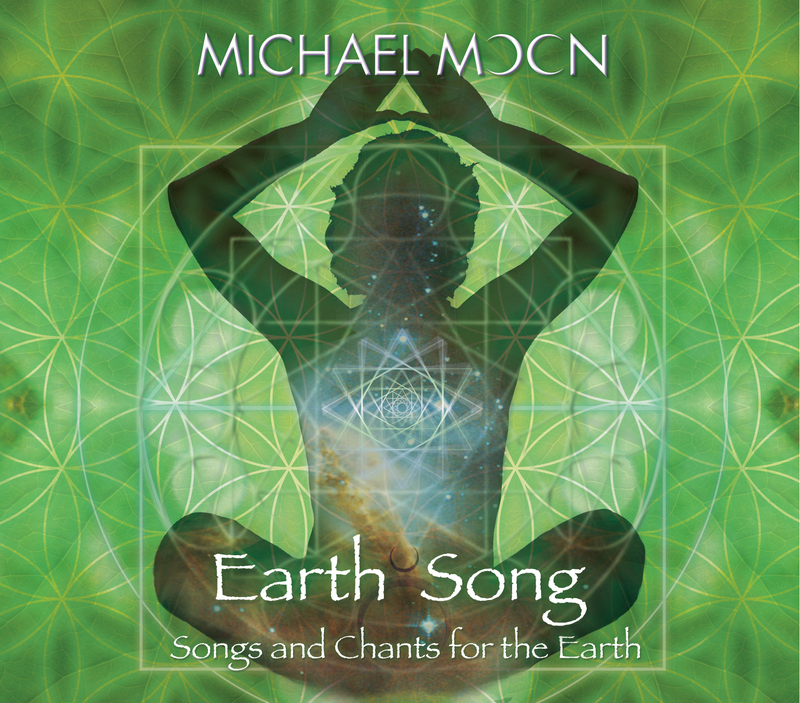 This enchanting music is a ceremonial journey of love songs honoring the Earth. Evoking a sense of awe and wonder for the interdependence of life, these songs inspire us to cultivate a healthier relationship with our Mother Earth. Gentle, sensual and entrancing, this organic music was created with a wide array of all acoustic world instruments. Poetic lyrics, angelic harmonies and nature sounds weave a beautiful sonic journey that opens our heart as we listen, sing or dance. A love poem to Earth. A ceremony of song. Calling the Circle, directions and the elements, we create sacred space for our journey. Heading Deep Within the Wood we connect to the spirit of nature and enter conscious relationship with her. In return she brings us back to ourselves. Touching Peace we enter the moment and experience the simple yet profound beauty all around us. With this new awareness comes the realization of the fleeting nature of life. Aware now of The Body Electric, our living temple formed of the Earth. This ‘sheath of food’ that holds our spirit and intimately engages us with the dance of life. Growing within this womb of our Mother we intimately share each breath in her Sky of Blue. We are One With You, the primal elements that mold both our physical form and the material world about us. With gratitude and consciousness we fully participate in life. Expanding to a galactic perspective, we glimpse our primal stellar origins and the preciousness of Earth. Our love and light embrace Gaia as our Hearts Beat as One. The idea of separateness is Gone and we merge completely with source. From this self-less place we can truly enter the community of life. Growing Roots, we experience the ecstasy of Earth and Spirit uniting in our hearts. Awakening to Love, we realize our predicament and how we’ve been out of harmony with this precious life. For the planet and our fellow creatures we send Love to the Earth. Surrendering to this Circle of One, we experience the vast cycles in which we flow. Glimpsing the primal source where all things finally return, we realize, truly All Is One. Connecting back to our ceremonial circle, we honour the elements and directions before closing the circle and allowing all elementals to return to Source.